TCEA is here, and it is time to learn some new instructional technology. 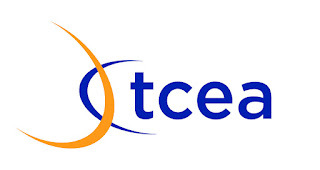 If you are headed to TCEA, be sure to collaborate with others, go to a session you normally would not go to, and try out that new tech tool you just learned about. It can be exhausting, so be sure to write down notes of everything you learn (presentation links are great to keep). I have only been here for two hours, and I have already learned about a website called Which One Doesn't Belong, and that yes, my camera can read QR codes (late to the party on that- thank you, Amanda D.).